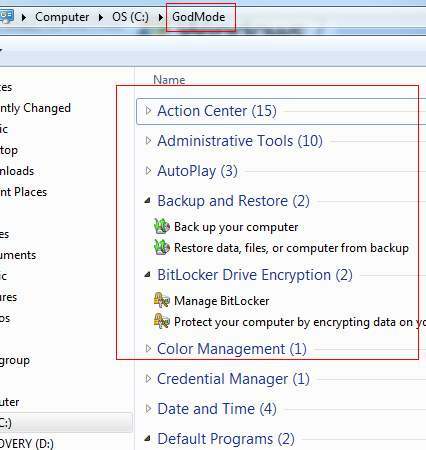 Although god mode is a term generally used to refer to cheats when used in games will allow the player to be invulnerable, Windows 7 god mode hack doesn’t actually mean that your windows 7 will live forever. It’s in fact a hack which allows you to pull all of your PC’s control panels into one standard class view folder. That’s it, done. The folder icon will turn into a control panel icon and in it you’ll find all of your control panels for your PC. Gotta say that this “feature” is great for power users. As far as I know, the functionality has been around since the NT4 days. It was a way to recreate shortcuts to system folders like Control Panel. NT4… I haven’t seen the “GODMODE” before XP SP2.